It's a short show, because Kornflake called in sick, and the rest of us should have. But Kevin and the Mayor of Chickentown are still here, all miserable and confused, for a quick goofy conversation. Subjects include: The big Doctor Who convention, Gallifrey One! (Hey, isn't the Mayor supposed to be there right now? Oops.) The Bugs Bunny Film Festival! The Old School Game Show! Quiz-o-Tron! ESO Riffs! Spooky Dudes! And more! But not much more! Okay, time to collapse. 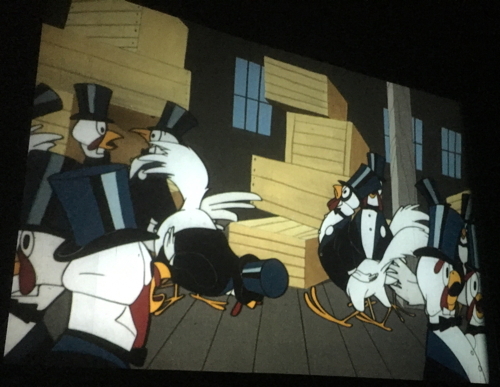 As promised, here are the chickens that Bugs Bunny "cleaned and dressed for dinner" in Forward March Hare. Rebecca Watson's Quiz-o-Tron is available in podcast form, but definitely catch it in person if you're in the Bay Area. Here in Boston, give the Old School Game Show a try. 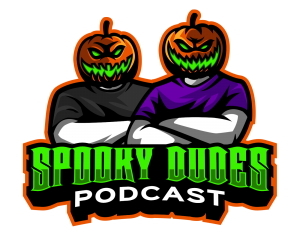 New on the ESO Network: Movie Riffs via Patreon and Spooky Dudes podcasting!